Help 130 Needy Girl Children” is a fund-raising programme to support 130 underprivileged rural and tribal children for their yearly education and food who reside in a Hostel run by Global AID - Ability in Disability, supported by Triders India. Global AID - Ability in Disability est.2008(http://globalaid.in/), is a Non-Govt-Organization which provides support for the underprivileged rural and tribal children along with differently-abled, in a unique way by identifying and providing them with much-needed support including the basic needs, primarily their education. 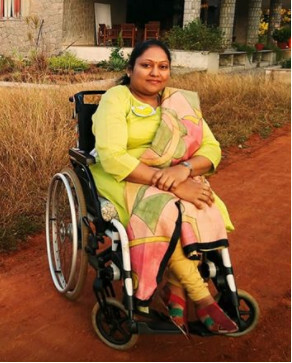 The organization is run by Sai Padma Bellana who is undoubtedly a great leader and service-oriented woman, who helps many kids in all possible ways. Global AID runs a residential hostel, where close to 130 children and staff reside and the organization is struggling to feed their children. The organization installed solar lights for the kids and paved roads out of their pocket for the children’s school, to name a few of their efforts. Triders India is a group of fitness enthusiasts which believes – health comes only with proper exercise and diet. Fortunately, we are a team which believes in everybody's right to education and we strongly feel that it is the responsibility of every individual to see that all people around us are educated. Triders India, in collaboration with Global AID, does "Fitness for a cause" fund-raising events to support the children strictly in need for their educational benefit and make sure they sleep with their stomachs full every night. 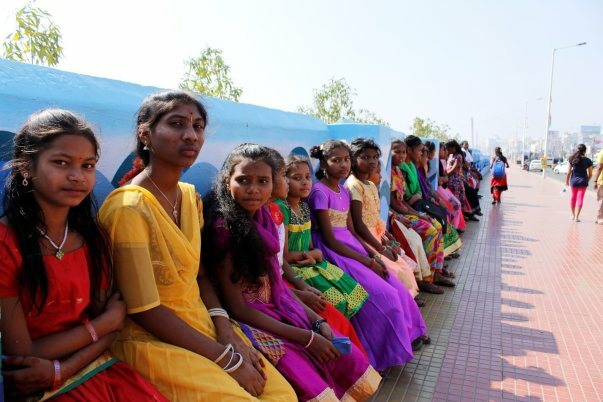 Global AID runs a residential hostel, where 130 children and staff reside in a remote area in the outskirts of Vishakhapatnam. Due to lack of education, minding the origin as a remote area, they are forced to marry, their education is taken away and even their most basic needs like food and menstrual hygiene were never given any priority. On an Average, a girl child is most likely to stop her education for almost every and any reason among the family. Global AID started to change this type of culture in this remote area 9 years ago, through thick and thin, trying to educate the parents as well. The organization is catering 55 girls in the hostel, while their total education, counselling and mentor support is taken care by Global AID’s specially trained team. 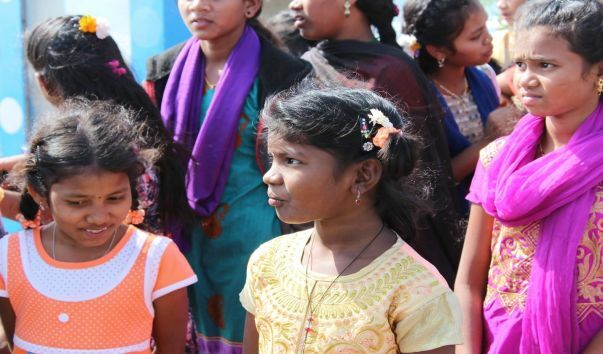 In addition to that, they are working in interior tribal hamlets where there are 75 girls belonging to migrant labor families, which includes several younger kids.Global AID regularly conducts awareness programs on education, nutrition, healthcare and menstrual sessions for Girls. Every rupee you wish to donate helps in feeding a child for over an year, who will be a strong individual and proud citizen of our country. Triders India, We as a TEAM – got deeply connected to the organization’s approach and we are deeply committed to raise funds by cycling from Hyderabad to Vizag (630KM) on 8th Feb 2018. By doing so, we plan to raise awareness about the same. These children are future mothers and professionals who bear the legacy of a generation. Please support them to be healthy and competitive in this race of life. Our aim is to raise Rs.5,21,950/- which will help the 130 kids for the entire year ( i.e 11/- per Kid Per day - 11*365 Days * 130 Kids = 5,21,950/- ). We request your fruitful support for a great social cause. Make a contribution towards the campaign to help 130 needy children with their Education and Nutrition. Wish you all a very happy new year 2018 !! Details of the Riders will be shared by 3rd week of January 2018. Greetings from Visakha Express 2018 team. We are glad to inform you that the ride was started on 9th Feb and Finished on 12th Feb as per the schedule. All the riders finished the course with no problems at all. We all started with one motto in mind which gave us the boost to finish the ride. There were too many supporters en route who helped us providing the accommodation, food and too many people were inspired at the same time. I thank you all for the support and donations you made to the campaign. We manage to collect the 6.5 Lakh rupees towards the global cause. I am pretty sure this will help the 130 children a lot. You are the real heroes behind the smiles of all these children and I thank you once again for your kind donations. There are 64 Anonymous donations and I do not have any contact email ID for the Anonymous donors. I thank all of them for the support. You can get the Section 80G tax certificate for the donation amount you made towards the global cause. Simply email me and we will process the TAX certificate and share it with you.